Robert Gaudet Las Vegas The writer is president of the Nevada Wildlife Federation. A person’s word is, at the end of the day, the only thing they have that they can truly call their own. Sticking true to a promise made means your word has integrity, character and forthrightness. Unfortunately, we live in a society where your word doesn’t mean much anymore. 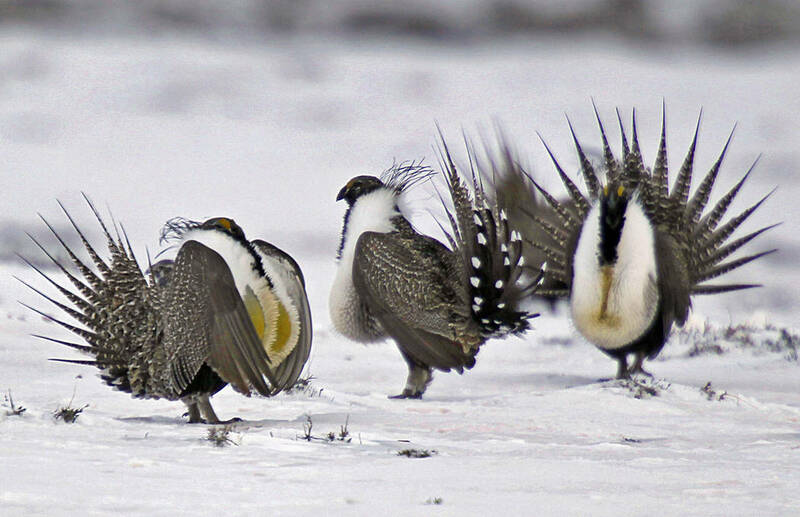 In 2015, the federal government gave us its word that the sage grouse — because of a massive effort by states, ranchers, hunters, anglers, recreationalists and others — wouldn’t need to be listed under the Endangered Species Act. The plans represented a radical shift in thinking for the BLM to a landscape-level management philosophy, widely backed by our state and professional wildlife managers. Managing public lands for all uses, and not giving one particular use primacy, has been the hallmark of public land management since its inception. Unfortunately, it really occurred only in 2015. A few short years later, while people are still implementing these plans, they’re being tossed out willy-nilly in favor of “energy dominance.” Well, the energy industry got its wish. Now, under Interior Secretary Ryan Zinke, energy will be the dominant use of public lands regardless of range health, wildlife conservation or the needs and desires of Westerners whose lives depend on functioning habitat for wildlife and livestock grazing. Secretary Zinke needs to honor the deal cut in 2015 and put the BLM management plans back to where they were before he decided to cut them to pieces and give those lands to the oil and gas industry. It’s the only honest thing to do.